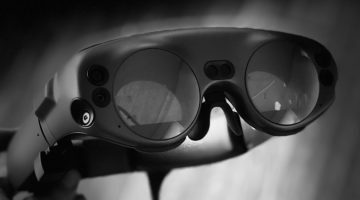 As you probably heard MagicLeap is finally out. After several months of speculation, hopeful expectation and almost fearful deception, the long expected device is out in the market, available to the general public. They started selling it in very few cities but rapidly they have extended the availability of the device to many other outlets, the recent LEAPcon event and soon, nationwide AT&T retailers. Since I first heard about this Spatial Computing platform I grew very excited about its possibilities in healthcare and education. I’m a strong believer that only the smart use of technology, will help us enhance and improve how we connect and communicate, augmenting our capabilities and fundamentally reshaping medicine and the dynamics of learning. We all know of the wide disparities in the access of goods and of opportunities in today’s world. We all have heard that approximately two thirds of the world’s population do not have access to the most basic goods and services that most of us take for granted. Healthcare is a Basic Human Right, and it is our responsibility to make sure it becomes accessible to all, without geographic or socio-economic limitations. I think that the possibilities of Virtual, Augmented and Mixed Reality are endless and only limited by our imagination. A few months ago, I reached out to Magic Leap and started an interesting conversation and relationship. I wanted to share my views on how their platform could truly revolutionize the industry. I was really amazed to see the kind of energy and the general philosophy I encountered there. I think that they really believe that technology augments us as humans, liberating and releasing our true potential. I did not just meet executives, engineers, marketing , programmers or coders, but people really excited about the potential of tech to make us better human beings. 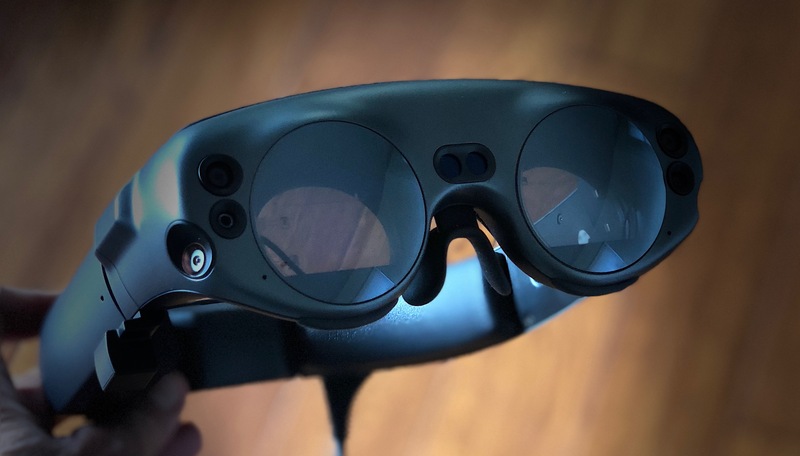 I received a Magic Leap One very early on and since then have been exploring and experimenting with it, trying to define in my mind what the possibilities are, in medicine, in education, on the hospital floors, in clinic, in and out of the Operating Room. I’m very fond of the British science fiction writer Arthur C.Clarke who formulated the three adages that are known as Clarke’s three laws, of which the third law is the best known and most widely cited. I have found out, as I expected, that this device is not limited to one “killer app” or one specific task in any discipline, especially in medicine or education. It represents a bridge that in a “Magical” way can help us take a Leap, to connect the digital and the physical worlds. As I see it, is the natural evolution of the computing platform. Out of my experience as a physician, as a surgeon and as an educator for many years, I know that good healthcare and education are not possible without good communication and connectivity. Even more so, I think that most of the problems that we encounter in these two areas, are mainly due to difficulties optimizing these two variables. 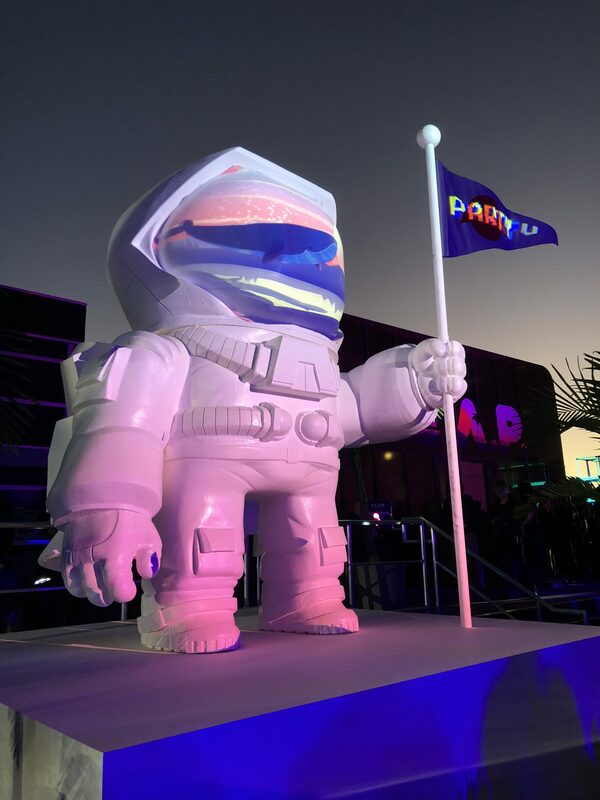 I did go to Los Angeles to the LEAPcon event and I was really surprised by it. I thought it was going to be an gathering only for programmers, coders and geeks. On the contrary, I found all sorts of curious people, wanting to learn and share their expertise, to help each other in any way possible, to connect and exchange ideas, to make this platform a true problem solver for today’s most pressing problems. 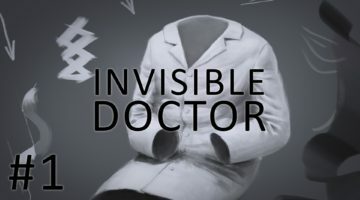 Despite all the attention that the event has taken, I was really surprised to see that healthcare applications were barely mentioned in any of the stories that followed. The session that I found most interesting, and you might say that I am biased, was the session related to medical applications. The room was completely packed, full of attention and energy, and anyone I asked afterwards, was really impressed with what they watched. To me, it is a “no-brainer”; I already see this device as a game-changer in medicine. The work that Skip Rizzo has been doing with this device, for example, applying VR for job interview coaching of people in the autism spectrum, and the applications that Brain Lab has been developing, are only the tip-of-the-iceberg, just a glimpse of what the future holds for this remarkable platform. 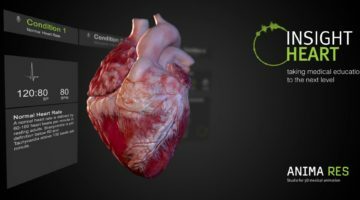 Using Spatial Computing to perform all he tasks in medicine that require a computer: interacting with the EMR, learning the steps of a procedure, viewing diagnostic studies, collaborating with remote providers, communicating with patients, improving daily rounds, monitoring and improving performance, etc. I can envision Avatars, powered by Artificial Intelligence and Deep Learning Systems ( Human Centered Artificial Inteligence – HCAI ) bridging the gap between the high demand for services and the shrinking supply of providers. It’s easy to dream of Dr. MICA. There is really no limit to what we could achieve. 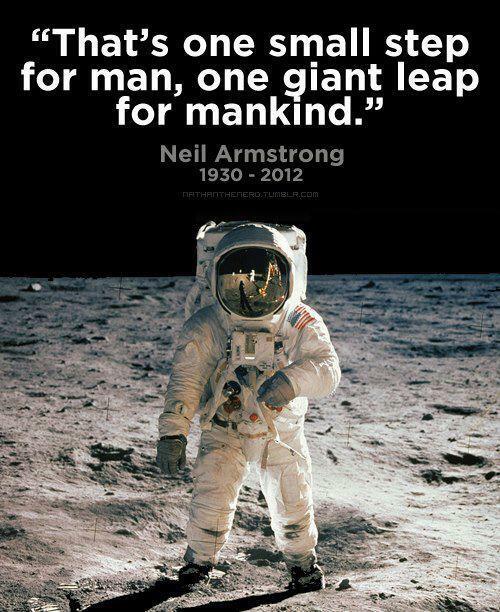 Quoting Neil Armstrong (1930-2012), the first human on the moon,“That’s one small step for man, one giant leap for mankind”– I’m convinced that we are in a similar crossroad; this could be the beginning of a new way of humanizing how we manipulate and integrate with the digital realm. 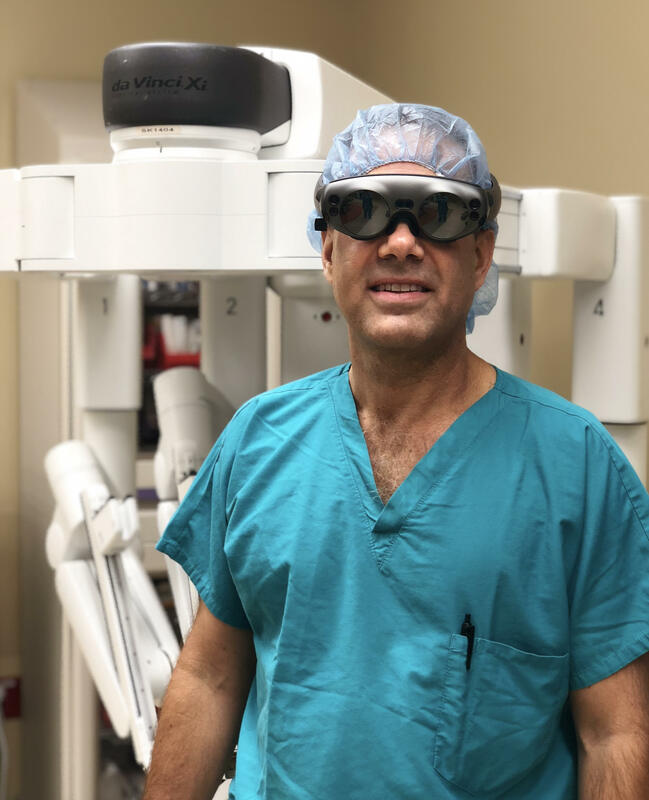 I look forward to the road ahead, to radically transforming what I do as a surgeon and educator, to collaborating with MagicLeap and all of you to create the future that we all imagine.